Calling out Rajkumar Hirani in the #MeToo movement is a radical step-up in the naming and shaming endeavour. The creator of the ‘Munna Bhai’ series has silenced all his fans and friends in the film industry, and the outspoken few have said the allegations against him are disturbing. 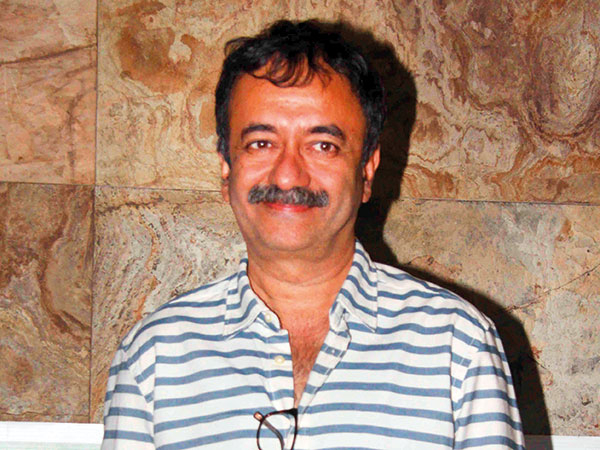 Hirani was accused by an unnamed woman who claimed that he sexually assaulted a subordinate over a period of six months in 2018. Hirani, known for feel-good, comedy films that have grossed record numbers at the Indian box office, was named in a Huffington Post India story on Sunday. “I want to very strongly state that this is a false, malicious and mischievous story being spread with the sole intention of destroying my reputation,” he said in a statement. Hirani is the most high-profile Bollywood figure to face allegations since India’s #MeToo movement gathered pace online last September, leading to a series of accusations by women of sexual harassment or assault against actors, entertainers, editors and politicians, among others. Writer Apurva Asrani is one of the rare voices that spoke up on being contacted. He said: “I choose to believe the young lady as it takes much courage to speak up against such a powerful filmmaker and then risk being boycotted by the film industry. I think the producers did the right thing by removing Mr Hirani’s name from the ‘Ek Ladki Ko Dekha Toh Aisa Laga’ posters and promos. A HuffPost India article narrated the alleged ordeal of a woman who worked with Hirani on ‘Sanju’, and who has claimed the filmmaker sexually assaulted her. Hirani has denied it. Actress Dia Mirza, a close friend of Hirani, reacted with stupefied confusion. “I am deeply distressed by this news. As someone who has known and respects Raju sir for 15 years, I can only hope that a due official inquiry is conducted. He is one of the most decent human beings I have ever worked with and I think it would be grossly unjust on my part to speak on this as I do not know the details,” said Mirza. Writer-director Vinta Nanda, who has named Alok Nath for sexual assault, is extremely vocal on the allegations again Hirani. “Despite having faced what I have personally, it’s hard to believe it. That’s what’s strange about how we’re conditioned by our feudal cultures. However, it’s no secret that patriarchy after so many decades of industrialisation, which led to women having to join workforces across the world, is still too deeply entrenched in our social breeding. She sees this as a moment of reckoning for the Indian entertainment industry. “This is a huge calling for the industry. It’s time to wake up and smell the coffee and do what is right because you can’t veil the truth any longer. It’s also a moment in which the industry needs to introspect. It needs to come out of it’s we are family mode, where anything that happens remains within the family. However, actor Sharman Joshi on Monday said he stands by his ‘3 Idiots’ director Rajkumar Hirani, who has been accused of sexual assault by a woman. The actor has called the filmmaker a man of immense integrity, character and honour. “I can imagine how demeaning it might be to even stand up for yourself in a situation such as this,” Sharman added with a ‘I Stand For Raju Hirani’ hashtag.